A comparison of early to mid-summer conditions along the eastern seaboard vs. the West Coast. The data in this graphic goes through the end of July. 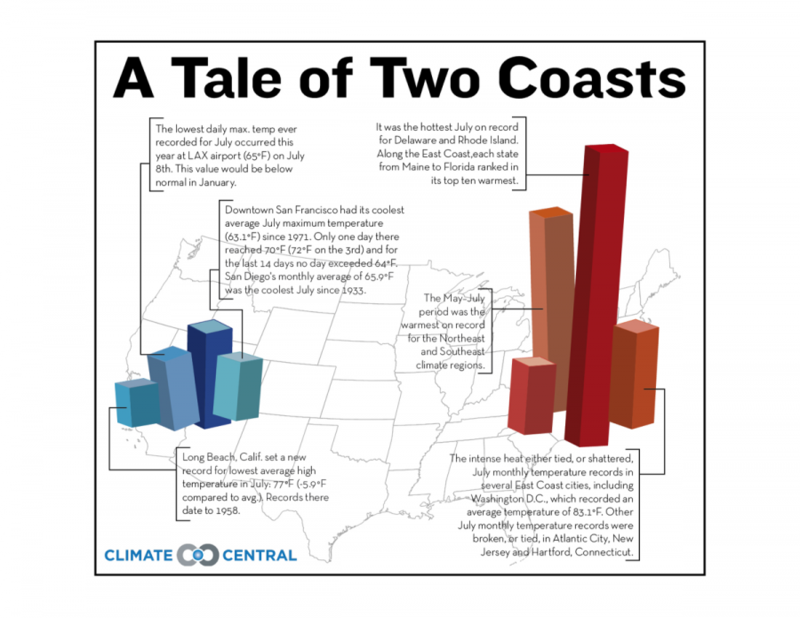 For more information, read A Tale of Two Coasts: The East Roasts While the West Shivers. Credit: NOAA/NCDC; California State Climatology Office. Design by Russell Freedman.